HAVANA, Cuba -- Starwood signed a deal on Saturday to renovate and run three Cuban hotels, returning U.S. chains to the island more than 50 years after American hotels were taken over by Fidel Castro's socialist revolution. All Cuban hotels are state-owned so the deal puts a major U.S. corporation directly into business with the Communist government under a special U.S. license that pushes the Obama administration's legal dismantling of the trade embargo on Cuba further than ever before. In a once-unimaginable arrangement, a hotel owned by the tourism arm of the Cuban military will become a Sheraton Four Points. Starwood's chief of Latin America operations, Jorge Giannattasio, said the firm will invest millions to renovate and rebrand the Quinta Avenida, Santa Isabel and Inglaterra hotels, train and hire new staff and reopen the hotels by the end of the year. The Quinta Avenida is owned by Gaviota, a military-run tourism conglomerate. The Santa Isabel and Inglaterra, which are run by other state agencies, will be operated as part of Starwood's Luxury Collection brand. It's unclear, however, how long Starwood can be called an American company. On Friday, Starwood called off a $12.2 billion buyout agreement with Marriott in favor of an offer from a group of investors led by the Chinese insurance company Anbang. Cuban hotels are notorious for their ramshackle furnishings and poor service. Giannattasio said the Cuban Starwood hotels would be refitted with everything from new mattress to improved kitchen equipment and safety measures and managed by teams of expatriate Starwood employees. 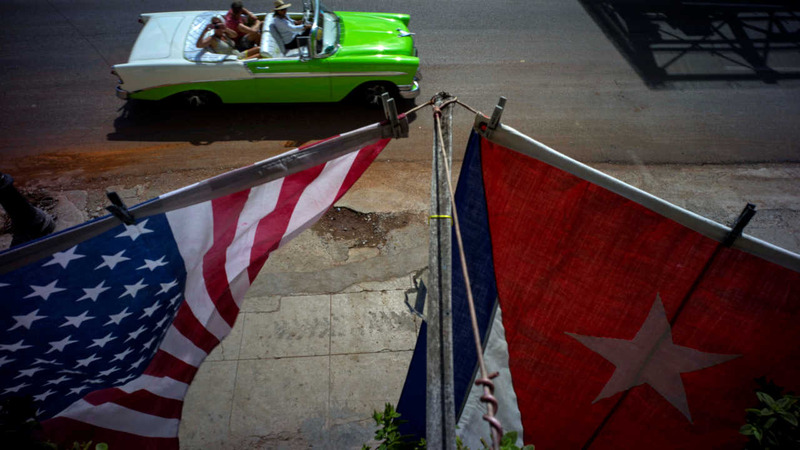 Cuban law prevents widespread direct hiring of Cuban workers by foreign firms. International companies complain that their inability to directly hire Cuban employees, and if necessary demote or fire underperforming staff, hinders their ability to provide satisfactory customer service. Giannattasio said he was confident that Starwood would have enough flexibility and control to maintain the company's standards in Cuba, although he declined to comment on details of the firm's arrangement with the Cuban government. Starwood will receive a fee for its branding and management services. The number of visitors to Cuba surged nearly 20 percent last year, with nearly 80 percent more Americans flying to the island. The surge has overwhelmed Cuba's decrepit tourism infrastructure and left hotels above capacity. Numbers are expected to rise even more sharply this year with the start of as many as 110 commercial flights a day from the United States, one of dozens of moves the U.S. administration has made to punch holes in the trade embargo as part of a broader normalization of relations with Cuba since Obama and Raul Castro declared detente on Dec. 17, 2014.